Bows By Deborah's Lexis Bow has three layers of ribbon! The bottom layer you can choose from 1 1/2 grosgrain ribbon , the center choose from 7/8 grosgrain ribbon and the top choose from 5/8 grosgrain ribbon. 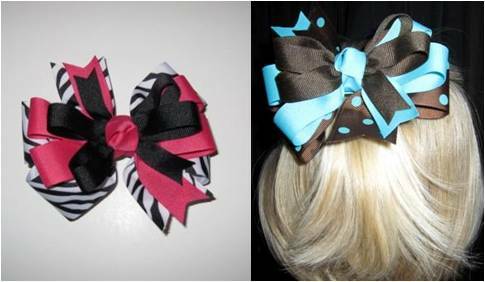 This bow also has a coordinating center knot made with 5/8 grosgrain ribbon. With all these choices you can end up with your own unique design, so have fun mixing it up!!! !